The shadow 31 is based on the alpha 31 mouldings built to shadows high reputation for quality river cruisers. The 31 model gives the customer something different in that is based on a single level through out design. 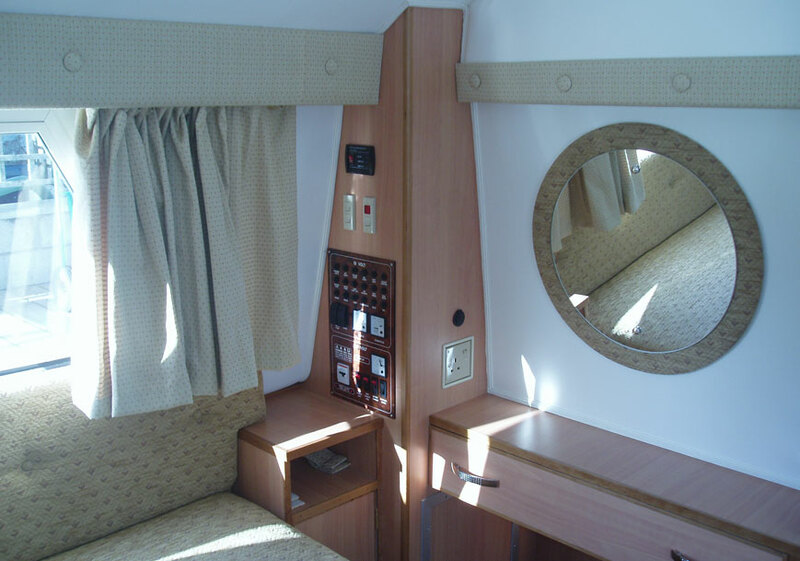 Helming from the front in the saloon area gives the helmsman great visibilty through the big picture windows. 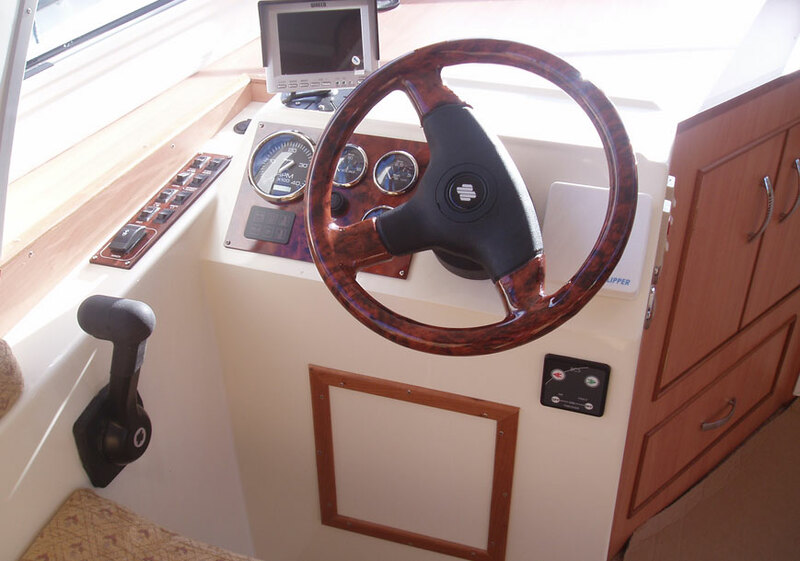 A conveniently placed sliding window gives the helmsman visibility to the stern as well as a clear sight through the middle of the boat to the stern. Forward and rear access wells make handling and mooring very easy and safe. Handrails and wide decks ensure crew safety when moving about on deck. Large bespoke made windows ensure that there is plenty of light flooding into the accommodation. 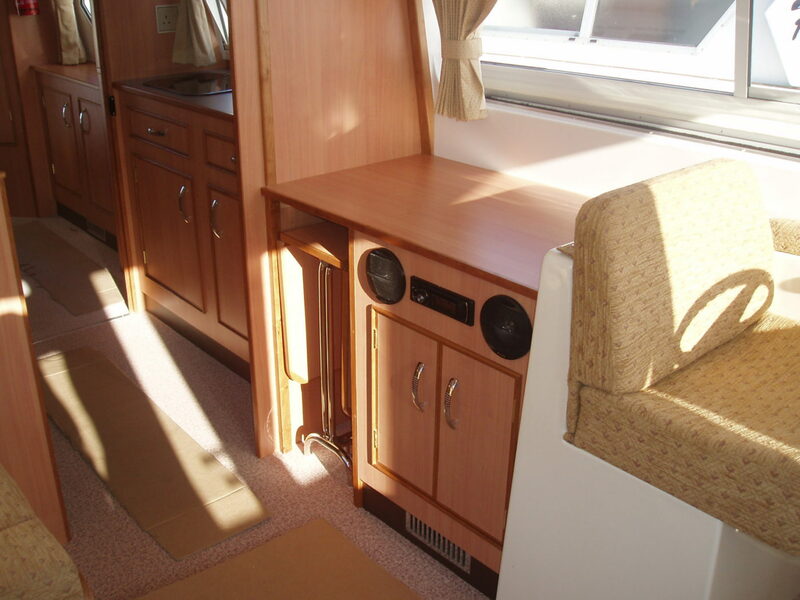 A large walkaround double berth dominates the spacious rear cabin with an abundance of drawers and cuboards. 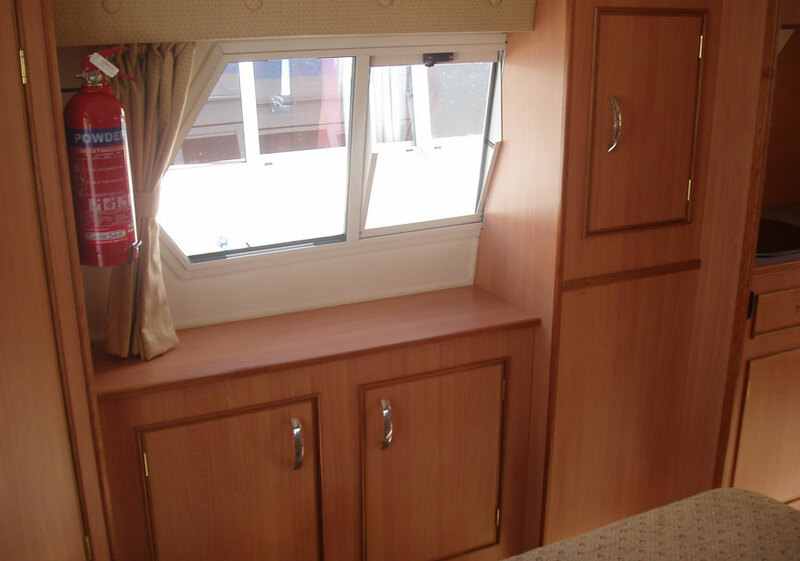 Leading off the rear cabin is the toilet/shower room with its electric flush toileing witt, shower and wash hand basin. 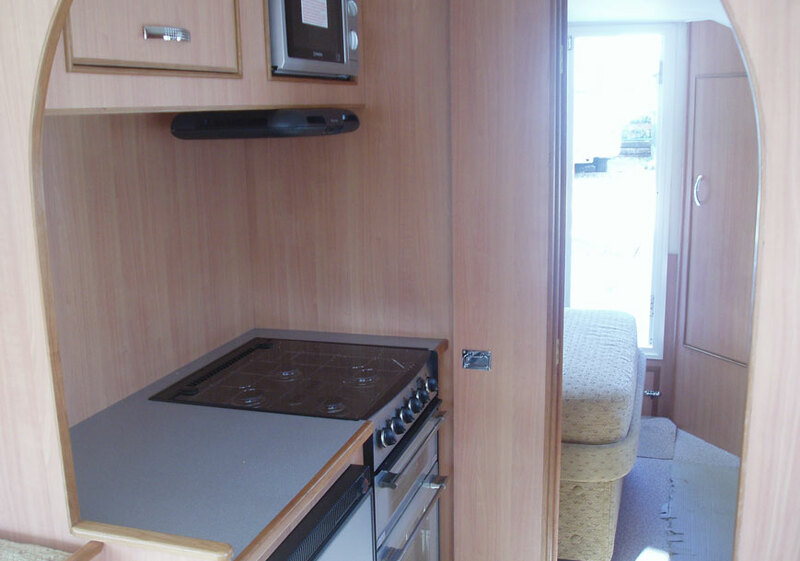 Moving forward into the galley, a four burner cooker,grill and oven, microwave and extractor fan provide all the cooking facilities you would need. 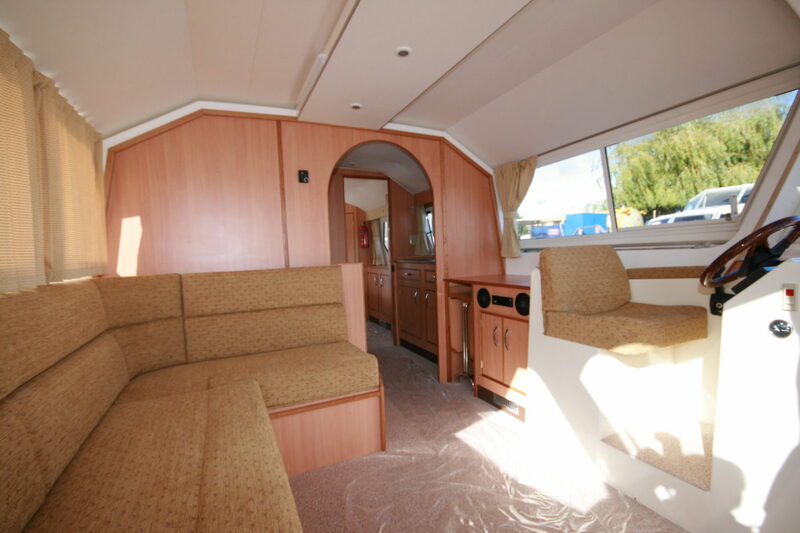 The L shaped saloon seating converts to a pull out double berth giving you the option of friends or guests staying overnight. 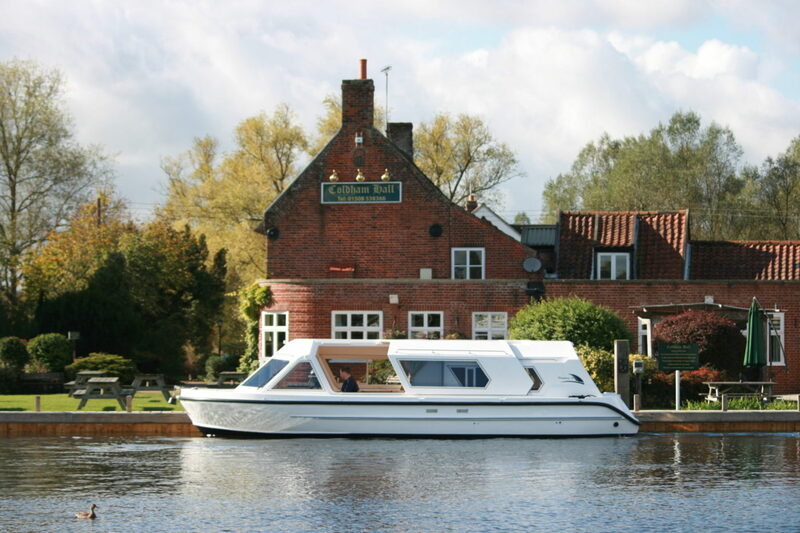 The shadow 31 has been specifically designed for the broads and its low bridges. The air draft is measured at 6′ 8″ which ensures passage under all broadland bridges. Although designed for the broads, it would be equally happy on any uk inland waterway with a few making it abroad. Customers can choose their own colour combinations of soft furnishings. Lot of optional equipment choices. Choice of engine size and manufacture. All shadow boats are bespoke builds so the customer can make ‘tweaks’ and changes during construction.